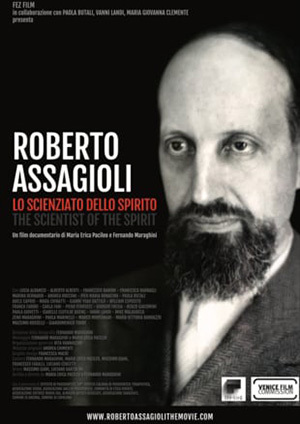 Roberto Assagioli about Disidentification in his booklet Meditation for The New Age, vol. 3. 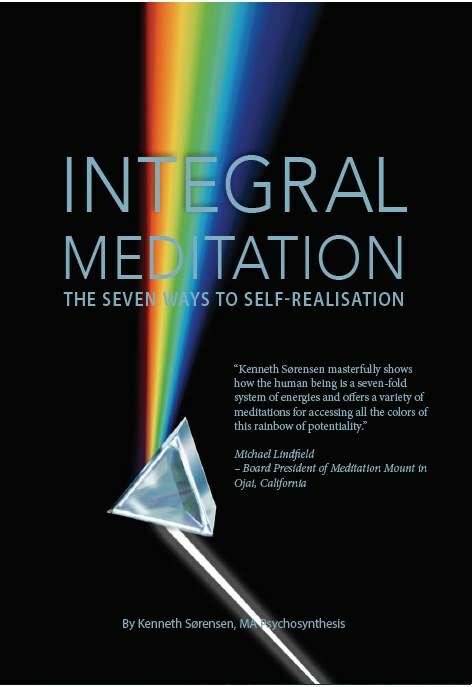 As recognised in the Technique of Dis-identification in the Second Meditation Course, the various elements of the personality are not the self, but the vehicles of expression and experience belonging to the self or “I”. Yet these elements often dominate us. The sensations of the physical body induce us to think “ I am tired ” or “ I am hungry ”. By using the phrase “ I am ” we identify with the partial and temporary condition and become in a way hypnotised by it. This identification with the physical body is one of the most limiting and beglamouring conditions and is the cause of one of the greatest sources of human suffering— the fear of death. Those who have realised that they are not their bodies, that they are simply inhabiting them, do not really fear death, for only the body dies; the self-identity persists. A second realm of false identifications is the emotional world in which the majority of humanity exists. Here we identify with an emotional state using, again, the fatal phrase “ I am ” whenever depressed, afraid, angry or swept by any strong emotion. The falsity of this identification is clear when we remember that in one day we can—and generally do—pass through a series of diverse and even opposite emotional states, and yet we are the same identity —the same “ I ”. Then comes the mental level. Those who are polarised in the world of the mind identify themselves with their minds, and this is a more subtle, but also a very limiting, identification. We can easily become, and often are, the prisoners of our ideas, ideologies, thoughts and also of various philosophical systems. Yet these, too, are far from permanent and we often change—and should change—our ideas and ways of thinking, moving on from one set or “ layer ” of concepts to another. Once we realise this, we are beginning the process of dis-identification, but at first the realisation may cause bewilderment and a period of darkness and doubt while we ask the question “ what am I then? ” It is answered when we stand back, so to speak, from our physical sensations, emotions and mental activity and find that we remain. It is the living experience of self-awareness, of pure self-identity, and it is this self-identity which persists. Another way of realising this is to look back at our lives through the years. We remember the various stages we went through, and our youthful illusions, and from our greater maturity can see how different we have been at various ages. Often we may hardly recognise ourselves in a photograph taken a long time ago. Yet we know there has always been the same golden thread of self-identity despite the many differing conditions—physical, emotional and mental—through which we have passed. But the realisation of the central self is not all that has to be discovered. In fact it is, in a sense, only the beginning because, having reached awareness of the central “ I ”, which is naturally and rightly self-centred and separative at first in order to assert its unique and separate identity as an individual, we then find this is not enough, and that there are other and greater states of consciousness with which to identify. Their stages, which include recognition of the self in others, group awareness and realisation of the higher or Spiritual Self, were explained in the Second Course just referred to, and several diagrams were given to illustrate the differing fields (degrees) of awareness. We will not therefore go into them again here, but one may say that, speaking in general terms, the unique, individual “ reality ” proceeds through gradually extending and expanding degrees of identification to discover the Universal Reality. Individual reality and Universal Reality are eventually realised as being of the same spiritual nature or substance. This is naturally a process which is only gradually achieved, and the way, as said earlier, lies through the elimination of the many false identifications which we are constantly making. Whether these are of the physical level, the emotions or the mind, they are the specific glamours and illusions which limit us and even take possession of us, making us their slaves. Therefore disidentification from our glamours is an essential process. The first stage in this is obviously to recognise what may be our most limiting or troublesome glamour. Psychoanalysis has revealed that much of the power of the emotions, complexes or characteristics that trouble us lies in the fact that we are unconscious of them. When they are recognised, unmasked and understood they are deprived of much of their strength and their hold on us is lessened. The second stage is to see the glamour which we have selected as a force which plays through us, even sweeps through us, but is not our selves. This establishes a detached standpoint, and from this we can gradually cultivate an increasing dis-identification from the waves of it which flow through us or engulf us. As well as attempting to dis-identify ourselves from our glamours when they appear, it will be helpful to practise an exercise in dis-identification regularly. This will fortify our independence from the glamours that trouble us and begin to “educate” our subconscious. Before outlining the exercise, however, it should be made clear that different techniques are needed with the various kinds of glamour. Also the different degrees of intensity of a glamour may require more than one technique. Added to this, what may be helpful for one person, or one situation, may not be equally effective for another. Various techniques will therefore be given in the ensuing chapters and students will be able to find the methods best suited to any particular case, but in the meantime, the use of the Technique of Disidentification will be a sound first step on the long journey towards “recognition of Reality”. 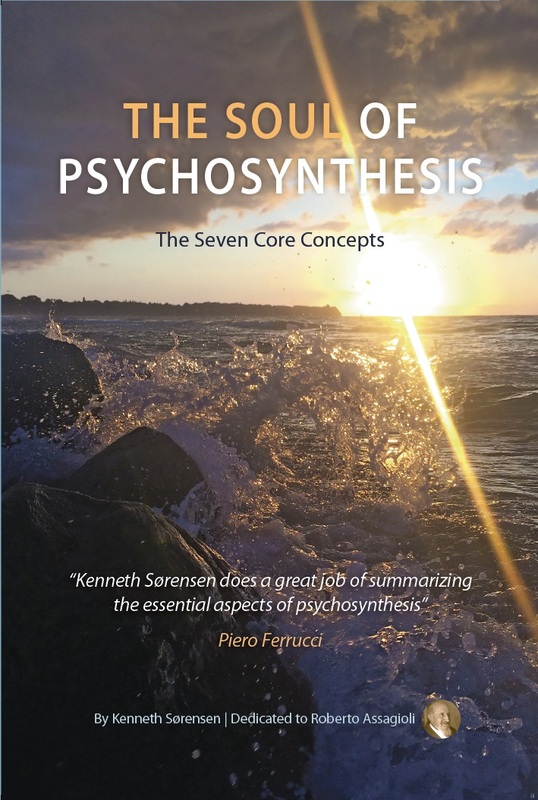 I have read with interest the transcript of the first Psychosynthesis Meeting of the 19th of October, and I want to express to all the participants my great appreciation of the valuable contribution they have made to the understanding and clarification of the psychosynthetic procedures. I have been particularly interested in the discussion about Self-identification and dis-identification, and should like to make some comments on it. In my opinion, the difficulty is primarily one of semantics, of terminology. The first distinction to be made is between “having” and “being.” In saying “I have a body” there is an implicit recognition (even if not a clear awareness) that the I, namely the “haver” (if I may use this term) is not identical with the body. He regards the body as an object, or better as a mechanism of perception for receiving impacts from the external world (such as a radio-receiver) and for action, for pro­ducing effects in the outer world (much as the typewriter of the typist or the piano of the pianist). A pianist cannot produce audible music unless there is (temporarily a “functional synthesis” between him and the piano. He must have a piano, but he is not the musical instrument. He remains himself, a potential performer, even with­out a piano. The same realization of disidentification can be carried on (as the exercise indicates) in respect of the emotions and the mind. “Behind” or “above” both, there remains the observing “I” who has been and can be variously called: the Spiritual Self, the Super Self, the Soul, Pure self-awareness, Being, etc. This Spiritual Self should by no means be confused with the “personal self” which in the terminology of a number of psychologists is synonymous with “personality,” and there­fore includes all the constituents of the human being: body, drives, emotions, mind, etc. But I should like to emphasize that for therapeutic purposes it is not necessary to arrive at that realization. As Dr. Summo has rightly remarked, it would certainly not be wise to use with a patient phrases such as “I am I, a point of pure consciousness.” It would baffle or arouse an antagonistic reaction. That phrase in­dicates the ultimate result or achievement of a gradual process (as Dr. Halpern has suggested) or procedure of successive dis-identifications. It is included in the description of the exercise in order to give the whole picture – but it is meant primarily for the therapist and not for the patient. It is the therapist’s task and responsibility to choose wisely from among the variety of techniques those suited to each patient according to: 1)his psychophysical constitution, his cultural background and 2)each successive phase of the treatment, and then apply them, in the way best adapted to the specific circumstances of the case. “We are dominated by everything with which our self becomes identified. We can dominate and control everything from which we dis-identify our­selves. May I add a few other remarks. I was very pleased and am in full agreement with what has been said by Dr. Swartley, Dr. Halpern and others about experimenting and doing exercises. May I emphasize the value and one might almost say “the necessity” of the therapist first practicing upon himself at least some of the techniques and exercises. This gives a direct existential experience and under­standing of them and a competence and skill in applying them to the patients (and also, in some instances, in practicing them together with the patients). Some medical doctors have first experimented on themselves – often at considerable risk – with new drugs or other therapeutic procedures. In my opinion, if we do the same with psychotherapeutic techniques, we incur no risk and will derive real personal benefit. 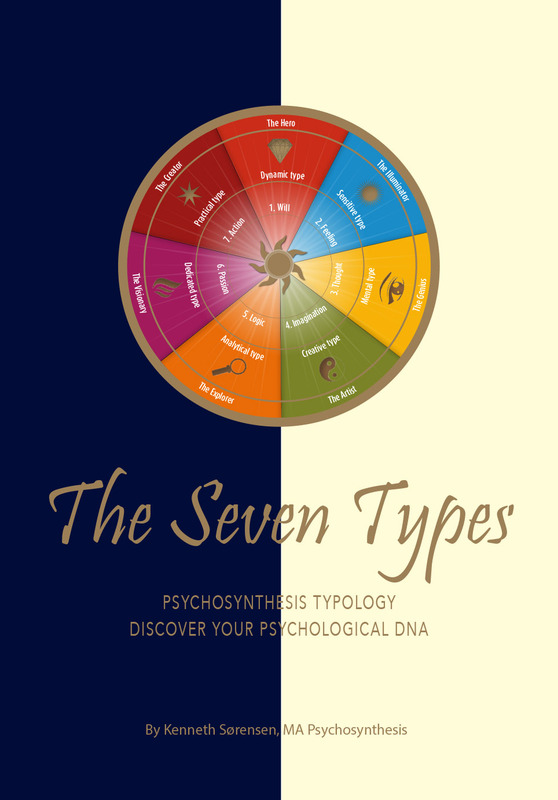 This has been confirmed in the practice of didactic psychosynthesis, but it should prove equally valuable in-self-psychosynthesis.